Film story: When a young boy accidentally triggers the universe’s most lethal hunters’ return to Earth, only a ragtag crew of ex-soldiers and a disgruntled science teacher can prevent the end of the human race. 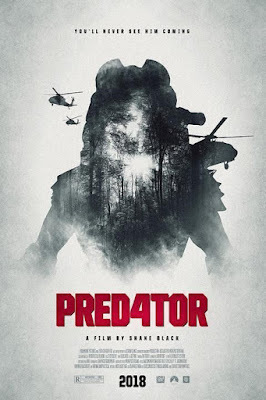 The Predator is a 2018 American science fiction action film directed by Shane Black and written by Black and Fred Dekker. The Predator aims to revitalize the sci-fi action franchise with fresh ideas, but succeeds at delivering mindless action more than cohesive mythology.